An “offsite” Select Board (SB) meeting was held at the First Church of Christ (Parlor Room) in Longmeadow on August 23 to discuss FY12 goals. It lasted over 3½ hours. Only a few town residents attended the meeting. All SB members + the Town Manager were present. Below is a video (Part I + Part II) of the meeting…. (using Windows Media Player will allow you to skip and listen to various portions of the meeting). A large portion of the discussion involved mechanics of how the SB and individual board members would interact with each other and the Town Manager during the coming year. Use of subcommittees (financial + operational) were proposed to facilitate a large portion of the SB’s work. These subcommittees (2 members max. each) would assess issues and prepare recommendations for the entire SB to discuss and to make decisions. There was also a discussion about creating a new town committee that would be responsible for developing a much overdue long range capital plan to address Longmeadow’s failing water/sewer, street and building infrastructure. The need for additional school capital improvements in addition to the new high school was mentioned several times. The need to continue reducing the cost of town government operations through improved operating efficiencies, productivity improvements, increased outsourcing, regionalization of operations and lower rates of increase for employee compensation and health care was highlighted. It was suggested that the SB consider the use of an outside consultant to identify key cost savings opportunities within town operations. Formation of a financial “subcommittee” to assist with the development of the town annual budget and other financial issues that face the SB was proposed. Aseltine and Barkett both expressed dissatisfaction with last year’s budget process and wanted to change the methodology. A proposal was made to change the format of how the budget is developed by creating a “financial subcommittee” (similar to that employed by the School Committee). This new subcommittee would "assist" the Town Manager by setting specific goals and then helping to work out the details. This financial subcommittee could consist of only 2 SB members since 3 or more would represent a board quorum. At times during this discussion the proposal for a new financial subcommittee seemed to be in conflict with the Town Charter since the Town Manager (not the SB) has the primary responsibility for preparing the town budget. Barkett expressed a desire to rein in the activities of any “rogue” board members (Gold ? + Santaniello ?) who directly interact with department heads to obtain budget or other information. Aseltine and Barkett both favored a board protocol that required all information requests or questions be channeled through the SB chair and then through the Town Manager who would then ask the Dept. Head for the information. They believed that this would make for more efficient use of town employees' time and reduce redundant requests. Neither Gold and Santaniello supported that idea because they felt at times they needed to make direct contact with Department heads in order to have their budget related or other questions answered. This proposal appeared to be directed at strengthening the chairman’s control of individual SB members direct interaction with town employees. Barkett pointed out that during last year’s budget process, it was Gold who acted as an “financial subcommittee” of one. This initiative by Gold provided a route to a budget compromise which was ultimately supported by the majority of the SB. Interestingly enough, it was Aseltine and Barkett who voted NO on this budget that was passed at the Annual Town Meeting. Consistency of financial reporting between the school department and town government was also highlighted as a strong need. Also, an improved presentation of the budget to the town at the Annual Town Meeting will be sought. A concern: New subcommittee meetings must be public meetings and will require meeting minutes to be written and posted. Aseltine, Barkett and Swanson favored the subcommittee approach while Gold and Santaniello had significant reservations. Formation of a town committee to evaluate the town’s long range capital needs including buildings, water/ sewer and roads. Santaniello suggested that this committee be formed without elected officials to ensure that the committee’s report is unbiased. Swanson objected strongly stating that she didn’t think a committee of non-elected volunteers would be able to accomplish much. A proposed consolidation of the School and Town IT departments was discussed in order to reduce costs and develop synergies. Aseltine proposed that the SB go paperless using Googlesites (GoogleDocs?) so that the volume of material printed for each meeting could be dramatically reduced. In addition, information can be more readily shared with town residents if it were available online. In a related matter, there was no discussion about plans or timeline for resolution of the town’s Longmeadow.org website problems. The Longmeadow School Department recently introduced a new website developed using a GoogleSites template (a free service of Google) that allows for unique webpage customization and provides for a robust content management system. According to some early reviews, the new Longmeadow School Dept website is easy to navigate and has a built-in feature that allows approved users in the school department (school committee members ?) to add information. However, at the present time there appears to be only one person who routinely updates the website and adds information to it and so the burden is not shared broadly. I must agree that the "look and feel" of this website is quite professional and is capable of providing easy access to information, particularly if you use the website search tool that can be found at the top of the homepage. I also found corresponding stipends for each of the other schools + the school department adding up to $10,815 for FY11. There were also similar budget items for FY09 and FY10 and for prior years. I believe that these line items have been in place for at least 5 years so the Longmeadow School Department has spent ~ $50K maintaining the individual schools and school department websites. With the current budget contraints I would urge the Longmeadow School Committee to make sure that these budget dollars ($10,815/ year) are used effectively. I strongly recommend that it consider integrating the individual school websites with the new School Department website. The burden of updating and adding new content could then be shared broadly by School Department employees. 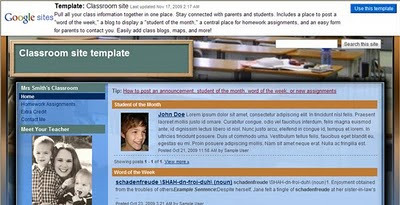 This change would dramatically improve the appearance and usefulness of the many different Longmeadow school websites. The following letter to the editor appeared in the August 19 edition of the Longmeadow News and is reprinted here at the request of its author. As a regular columnist for the former town website, and a past columnist for the Longmeadow News, I am in a unique position. I have worked with Jim Moran in his capacity as an excellent webmaster, for over a decade. He was and is always professional and helpful. Never did I question his ability as an un-paid volunteer. He was never an employee of the town, so it is more than odd that an elected official called him insubordinate. Jim ran a great website full of useful information for town residents and the world at large. He always was open to suggestions and made improvements to the site very often to make it more user friendly to all. I respect him and his work. Did our elected officials ever visit the website? If so, they would have noticed the "material" in question was on a link to LongmeadowBuzz not the town website itself. It all makes me wonder why anyone even bothers to give their time to be a thankless volunteer in this distrusting day and age. This town and its organizations and groups have been run by town volunteers for over a century! These people help with the schools, historical groups and senior center not to mention the elected officials who work long hours tirelessly to be professional in unpaid positions! I hope people still get involved with our town, but why do it for free? Now do we have to pay someone to be webmaster? And where are we getting the funds for that? Can the select board please apologize for whatever misunderstanding occurred. Jim has now moved on - its too late to re-hire him as a volunteer. Is this the way to treat a Citizen of the Year? Our website should bring people together, not tear them apart! Good work Jim! It has been a pleasure to work with you for the past eleven years, and THANK YOU VERY MUCH!